Over one third of high school students don’t know basic civics. Here is an exciting way to teach them America’s system of justice. Susan Kuklin gives readers the inside story of a dynamic contemporary court case and uses exclusive interviews with all the participants to explain what happened. 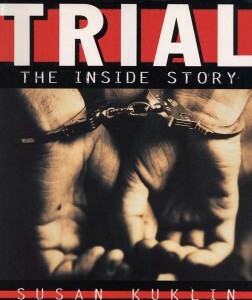 Kuklin had unparalleled access to the prosecution, the defense, the judge, and even, after the case, the jury in a dramatic case involving a kidnapping ring in New York’s Chinatown.